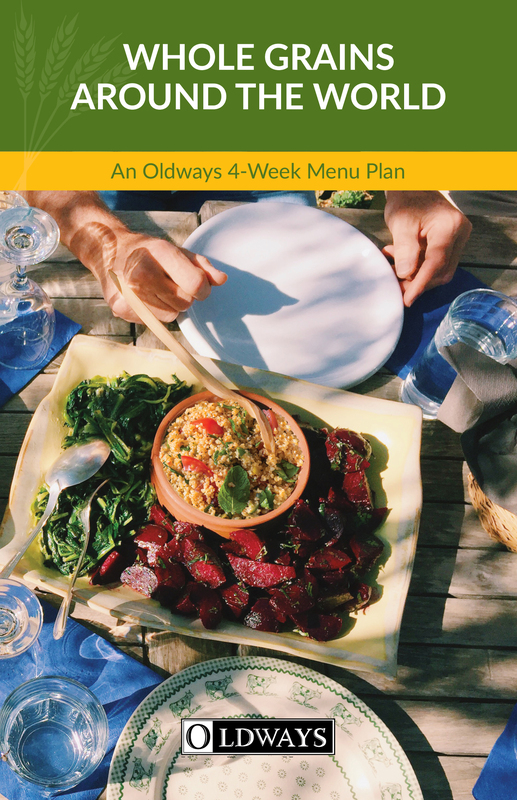 Our Oldways Menu Plan Books are some of our most popular resources. They’re full of delicious, quick, easy recipes and tips that can inspire anyone to cook more often and to eat well. These books are just a small sample of the many free resources available on our website, and the low-cost materials available in our webstore. 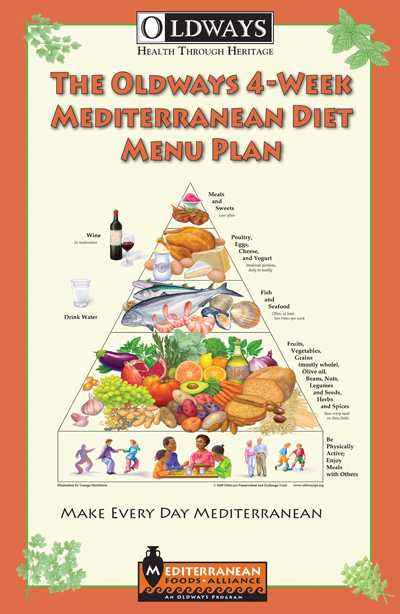 The menus you’ll ﬁnd in the Oldways 4-Week Mediterranean Diet Menu Plan are designed to take you on a 28-day journey through many of the delicious and satisfying tastes of the Mediterranean diet. Unlike most diets, the Mediterranean diet doesn’t cut out all the good stuﬀ and leave you feeling deprived. Because it features a wide variety of foods that are just naturally healthier and lower in calories, you’ll ﬁnd you can enjoy “good taste” and “good for you” at the same time. So you’ve mastered oatmeal, whole wheat toast, and brown rice—and are now wondering how to go beyond the basics and explore whole grains more widely. With inspiration from cultures around the globe, we take you on a 28-day journey through the world of whole grains. Each of the four weeks in this menu plan is inspired by a diﬀerent heritage diet: Mediterranean, African, Latin American, and Asian. Access your inner whole-grain guru with less common grains like amaranth, freekeh, and teﬀ, and enjoy a full, dietitian-designed menu plan for each day, with breakfast, lunch, dinner, and snack options. Size: 5.5” x 8.5”, 114 pages. 71 recipes with nutritional information for each. Mediterranean Eggplant & Barley Salad, Maple Walnut Teﬀ Porridge, Stuﬀed Poblanos, and more! 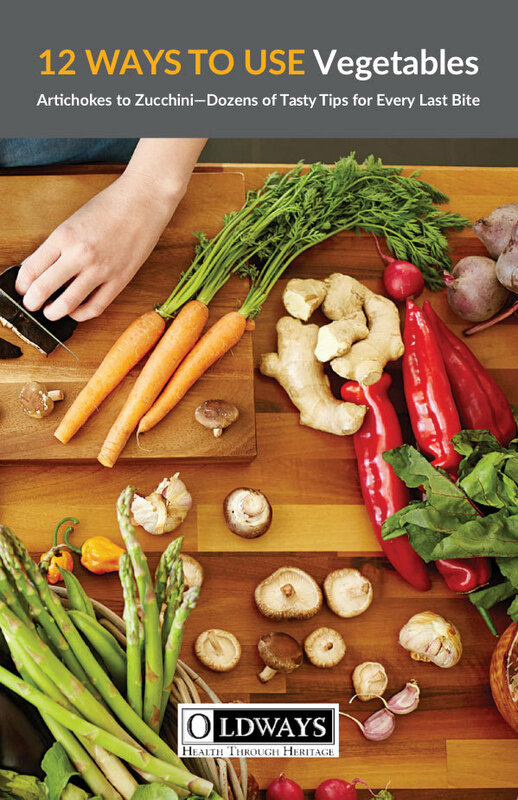 Find out just how easy and delicious going vegetarian (or vegan) can be! 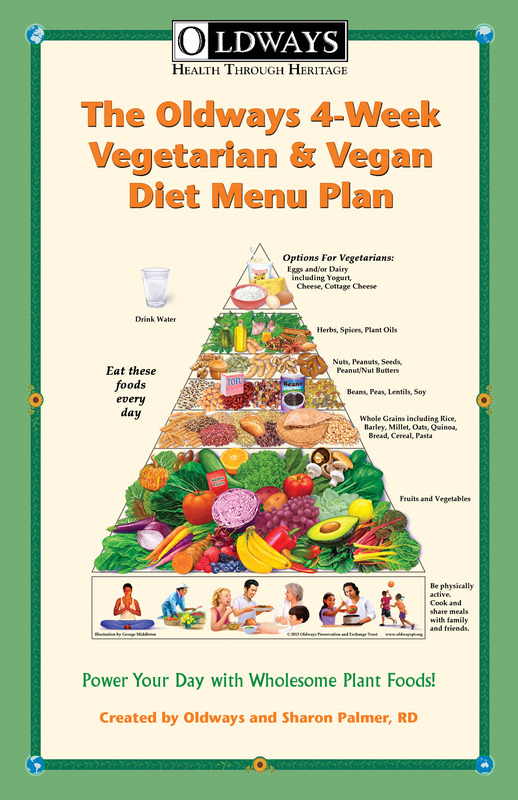 We’ll help you create satisfying, balanced, budget-friendly meals based on an abundance of vegetables, fruits, nuts, seeds, whole grains, legumes, herbs, and spices that ﬁt into a healthy eating pattern across many diﬀerent cultures. This engaging and common-sense book has been designed to serve as a guide for both health-care professionals and consumers who recognize the healthfulness of moving meat from the center of the plate and want to follow a well-balanced plant-based diet. Size: 5.5” x 8.5”, 88 pages. 58 recipes with nutritionals for each. Asian peanut stir-fry with black rice, Vietnamese noodle soup, pasta pomodoro, and more! What can you do with a few carrots? A head of cabbage? A sweet potato? This book isn’t a 4-week menu plan like the books above. Still, it has so many creative ideas for vegetables that we know it will inspire you to experiment in the kitchen, and in the process discover that vegetables are tasty and versatile foods, easy to use in at least a dozen diﬀerent ways. It’s meant to push you beyond your comfort zone and encourage you to try all sorts of new ideas for enjoying vegetables in home-cooked breakfasts, lunches, dinners, and snacks. 58 pages. Covers 26 vegetables with cooking methods and nutrition information for each. Also includes a handy “How To Cook Whole Grains” chart.